TDI International - Space Exploration, Tech Advances, Science! Space Exploration, Science & Tech Advances! 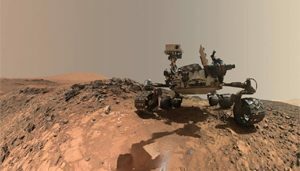 A collection of our favorite stories and articles in space exploration, scientific discoveries and tech advances in consumer electronics, biomedical, space travel, green energy and more. For even more interesting pictures and articles, follow us on our Pinterest page! 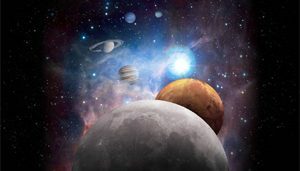 NASA’s Science Mission Directorate (SMD) is taking a giant leap focusing the agency’s exploration of the Moon, Mars and our Solar System. Effective immediately, Steve Clarke is SMD’s Deputy Associate Administrator for Exploration. He will serve as the agency’s interface between the NASA mission directorates, the scientific community, and other external stakeholders in developing a strategy to enable an integrated approach for robotic and human exploration within NASA’s Exploration Campaign. Clarke returns to NASA after serving as a senior policy analyst with the Office of Science and Technology Policy in the Executive Office of the President, where he was responsible for a number of important initiatives. Ahead of sending astronauts back to the Moon, NASA is planning a series of robotic commercial delivery missions as early as 2019. These missions will deliver NASA instruments and technology to the lunar surface to conduct science and prepare for human footsteps once again. Among the instruments considered is the instrumentation suite from the former Resource Prospector mission concept. On 15 September, NASA’s Cassini spacecraft will conclude a nearly 20-year-long mission by diving into Saturn’s atmosphere. 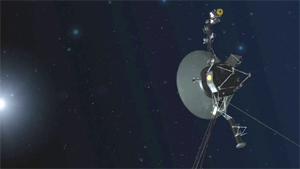 The heat and speed of entry will rip apart and vaporize the 2-ton probe, but it will gather data for as long as it can-a fitting finish for a mission that transformed our knowledge of the Saturnian system. Cassini’s demise was intentional. If it were left to orbit around Saturn, it may have one day crashed into the moons Titan or Enceladus, potentially contaminating their liquid oceans with earthly microbes. But other missions have had far less happy farewells. Here, Science takes a look at the 42 spacecraft that, intentionally or not, have met their end on another planet. New design could dramatically cut energy waste in electric vehicles, data centers, and the Power Grid. Researchers have presented a new design that, in tests, enabled gallium nitride power devices to handle voltages of 1,200 volts. 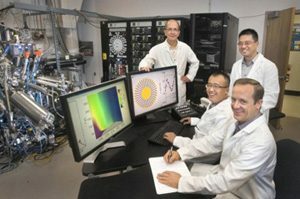 That’s already enough capacity for use in electric vehicles, but the researchers believe that further work can boost its capacity to the 3,300-to-5,000-volt range, to bring the efficiencies of gallium nitride to the power electronics in the electrical grid itself. Power electronics, which do things like modify voltages or convert between direct and alternating current, are everywhere. They’re in the power bricks we use to charge our portable devices; they’re in the battery packs of electric cars; and they’re in the power grid itself, where they mediate between high-voltage transmission lines and the lower voltages of household electrical sockets. When Neil Armstrong and Buzz Aldrin landed on the moon in 1969 as part of the Apollo 11 mission, it was perhaps the greatest achievement in the history of engineering. Many people don’t realize, though, that an important ingredient in the success of the Apollo missions and their predecessors were analog and hybrid (analog-digital) computers, which NASA used for simulations and in some cases even flight control. Indeed, many people today have never even heard of analog computers, believing that a computer is, by definition, a digital device. If analog and hybrid computers were so valuable half a century ago, why did they disappear, leaving almost no trace? The reasons had to do with the limitations of 1970s technology: Essentially, they were too hard to design, build, operate, and maintain. 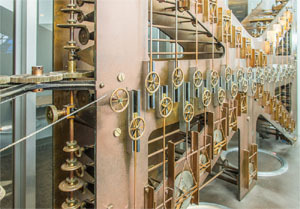 But analog computers and digital-analog hybrids built with today’s technology wouldn’t suffer the same shortcomings, which is why significant work is now going on in analog computing in the context of machine learning, machine intelligence, and biomimetic circuits. Every egg rolls a different way. For centuries, scientists wondered why egg shapes are so different from one bird to the next. Now, we think we’ve finally cracked the mystery. To start, we need to know what egg shapes are even possible. 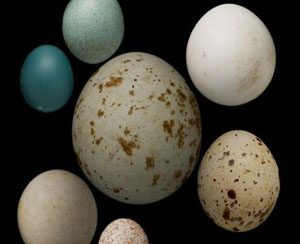 Luckily, hobbyists and natural history museums have been collecting and cataloging bird eggs for hundreds of years. Then, what kind of birds are linked with the different shapes? And finally, how might their special traits – from nesting habits to body size – change the shape of their eggs over evolutionary time? Chances are, at one time or another, we’ve all used Google Maps to find the shortest route from point A to point B. But if you are like some people, you’ve used this tool to have a look at geographical features or places you hope to visit someday. In an age where digital technology is allowing for telecommuting and even telepresence, it’s nice to take virtual tours of the places we may never get to see in person. But now, Google Maps is using its technology to enable the virtual exploration of something far grander: the Solar System! 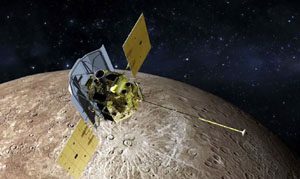 Thanks to images provided by the Cassini orbiter of the planets and moons it studied during its 20-year mission, Google is now allowing users to explore places like Venus, Mercury, Mars, Europa, Ganymede, Titan, and other far-off destinations that are impossible for us to visit right now. 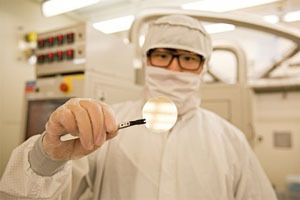 Modern solar cells, which use energy from light to generate electrons and holes that are then transported out of semiconducting materials, have existed for over 60 years. 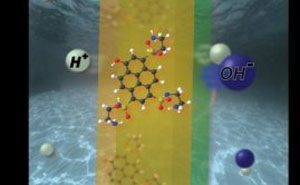 Little attention has been paid, however, to the promise of using light to drive the transport of oppositely charged protons and hydroxides obtained by dissociating water molecules. Researchers report such a design, which has promising application in producing electricity to turn brackish water drinkable. Researchers in America report such a design, which has promising application in producing electricity to turn brackish water drinkable, on November 15 in the journal Joule. HAX, the hardware startup investor, and accelerator, along with Airbus, is looking for start-ups to join a four-month accelerator program aimed to advance developments in urban air mobility, a.k.a. flying cars. 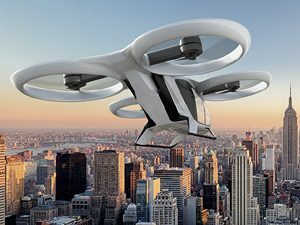 “Transportation in megacities needs fresh ideas to improve the way we live,” said Mathias Thomsen, urban air mobility general manager at Airbus, in a press statement. “We believe that adding the vertical dimension to urban mobility will improve the current congested megacity transport systems”. 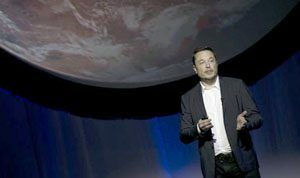 Elon Musk has a plan, and it’s about as audacious as they come. Not content with living on our pale blue dot, Musk and his company SpaceX want to colonize Mars, fast. They say they’ll send a duo of supply ships to the red planet within five years. By 2024, they’re aiming to send the first humans. From there they have visions of building a spaceport, a city and, ultimately, a planet they’d like to “geoengineer” to be as welcoming as a second Earth. NASA’s record-shattering astronaut Peggy Whitson will return to Earth next month after a momentous extended visit to the International Space Station (ISS). 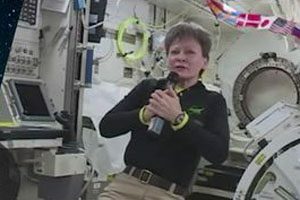 Whitson connected with Space.com from the orbiting laboratory on Aug. 9 to discuss the highlights of her mission — including the solar eclipse of Aug. 21 — and what her life will be like back on Earth. Since Whitson launched to the ISS in November 2016, she has set a multitude of spaceflight records, including several for women in space. On day one, she became the oldest woman to go to space at the age of 56. During a spacewalk in March, she set a new record for the most spacewalking time accumulated by a female astronaut. One month later, she broke the record for cumulative time in space by a NASA astronaut, as well as the longest single spaceflight by a woman. 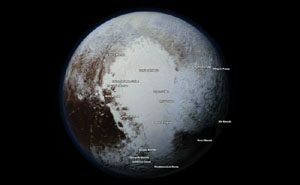 NASA’s New Horizons mission revolutionized our knowledge of Pluto when it flew past that distant world in July 2015. Among its many discoveries were images of strange formations resembling giant knife blades of ice, whose origin had remained a mystery. 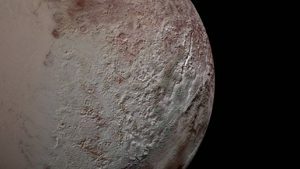 Now, scientists have turned up a fascinating explanation for this “bladed terrain”: the structures are made almost entirely of methane ice, and likely formed as a specific kind of erosion wore away their surfaces, leaving dramatic crests and sharp divides. Intel says it is shipping an experimental quantum computing chip to research partners in The Netherlands today. The company hopes to demonstrate that its packaging and integration skills give it an edge in the race to produce practical quantum computers. The chip contains 17 superconducting qubits – the quantum computer’s fundamental component. 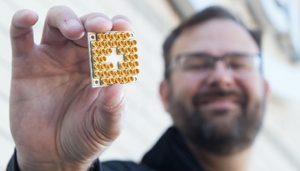 According to Jim Clark, Intel’s director of quantum hardware, they chose 17 qubits, because it’s the minimum needed to perform surface code error correction, an algorithm though to be necessary to scling up quantum computers to useful sizes. Aspiring astronauts can now pretend to float on the International Space Station (ISS), thanks to Google. 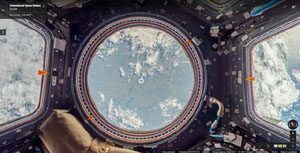 The company worked with astronauts on the orbiting complex to provide a Google Street View of the space station, from its science labs to its beautiful Earth-facing Cupola window. NASA’s Johnson Space Center in Houston and Marshall Space Flight Center in Alabama worked with Google. 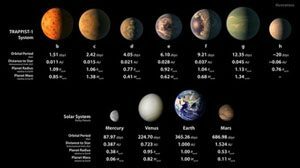 The ultracool star TRAPPIST-1, located about 40 light-years from Earth, hosts at least seven exoplanets, most likely rocky worlds the size of Earth and smaller. The star boasts not only the largest number of Earth-like worlds in a single system known to date but also the most planets that could host liquid water on their surface. Scientists have found surprising electron behavior that may help unravel the ever-elusive mechanism behind high-temperature superconductivity – a phenomenon in which electrical current flows freely without resistance through a material at unusually high temperatures relative to those of conventional superconductors. The perfect performance of superconductors could revolutionize everything from grid-scale power infrastructure to consumer electronics, if only they could be coerced into operating above frigid temperatures. Even so-call high-temperature superconductors (HTS) must be chilled to hundreds of degrees Fahrenheit below zero.